The very first race at Laguna was won by Team Lotus driver and Lotus 49 F1 privateer Pete Lovely. The famed hairpin at turn 2 is named after Lotus` own 1978 World Champion Mario Andretti. The Golden Gate Lotus Club, Lotus Cup USA and Lotus Cars USA presents the newest chapter in this historic tradition: Corkscrew Mania 2011! What is Corkscrew Mania? It’s a FULL day of Lotusing. There’s Lotus Cup USA racing, a VIP Hospitality tent, a Lotus Autocross, a Lotus Tech Session that will cover track preparation, tires and more. On top of that there’s a VIP BBQ lunch, track rides around the famous 11-turns of Laguna Seca (including the renowned “Corkscrew”) and a Lotus Corral. 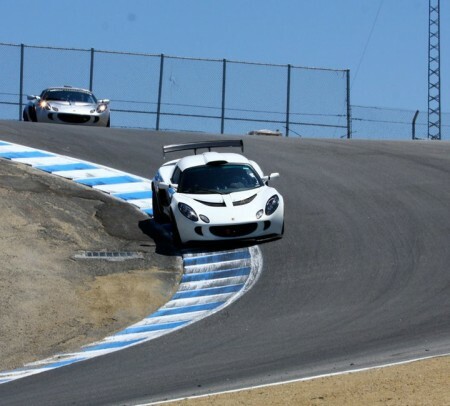 To be held on Sunday June 26th at the famed Mazda Raceway Laguna Seca, Corkscrew Mania is THE Lotus event for every Lotus enthusiast in Northern California. Advanced Registration is required. NO Walk Ups! Registration deadline is June 20, 2011. Corkscrew Mania is sponsored by Dietsch Werks and Exotic Autoworks. Are you interested in racing, time trials or track events? 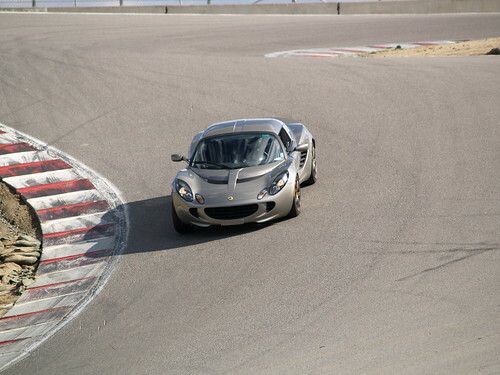 Want to participate in the Lotus Cup USA events? Check out www.lotuscupusa.us for details. 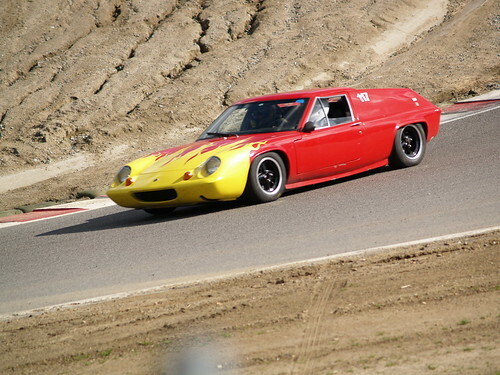 Registration is now open for the Golden Gate Lotus Club’s third track day of the year at Thunderhill Raceway Park in Willows, California on Tuesday, May 17th. Early Bird pricing is $150 for members and $170 for non-members. This price will go up on May 3rd to $170 for members and $190 for non-members so please sign up early to take advantage of the lower price. This event will be run in the standard counter-clockwise direction WITH THE BYPASS. We will run our regular Lotus club format which allows you to bridge two run groups for maximum track time. You will be signing up for either Novice/Intermediate or Intermediate/Advanced. We will also include 3 slots for beginner track drivers. Each beginner will receive all-day coaching from experienced GGLC drivers. These 3 spots are first-come, first-served and only offered to current GGLC members thru Friday April 20. To enter as a beginner, send an email to events@gglotus.org and include a callback telephone number. Non-newbies can click here to sign up. The month of May at Thunderhill usually means good temperatures. And who knows, the grass may still be green – don’t miss it! Lotus Cars has notified US dealers that the current generation of 2ZZ-GE engined Exige and Elise will cease production this July on Model Year 11. Toyota has already stopped production of the 2ZZ-GE engine and Lotus has been buliding cars using stockpiled engines ever since. An excellent value proposition, available in choice of color, these are based on the current Exige 240 spec with power enhanced to 260bhp. Tour pack, track pack and LSD are standard equipment. • Track Package with double adjustable Ohlins dampers. • Torsen (Torque-sensing) Limited Slip Differential. • Black Y type 5 spoke forged wheels with A048 tires. • Metallic paint range at no additional charge. Based on the stunning Matt Black Exige Scura sold in Europe with great success, some changes for the US market to ensure that this car is even better value. With a color scheme based upon the “Club Racer” Elise sold in Europe. Available in four colors with a high standard specification makes this Final Edition Elise an excellent value proposition. Extremely limited production run of 15 cars to close out the model in North America. 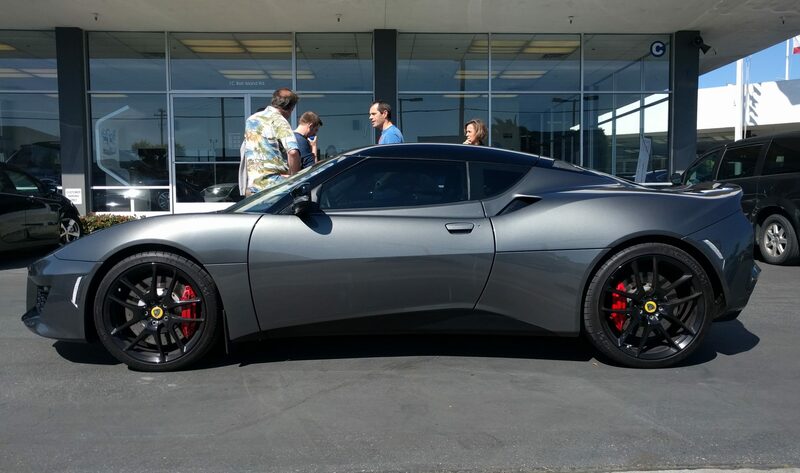 Lotus PR has had a great coup with the Lotus Evora being featured in a long segment on the hit AB show Desperate Housewives. The car is shown and mentioned by name multiple times along with shots of the main characters getting taken in by the driving experience. By working a mention of the price into the show, Lotus has manged to make it simulateousely aspirational and affordable – kudos to Dany and the team.